Easy to operate, with the Bluetooth remote control can easily operate this section feeder. This machine is only suitable for dry granular food.It is suitable small size of pet,dogs,cats. 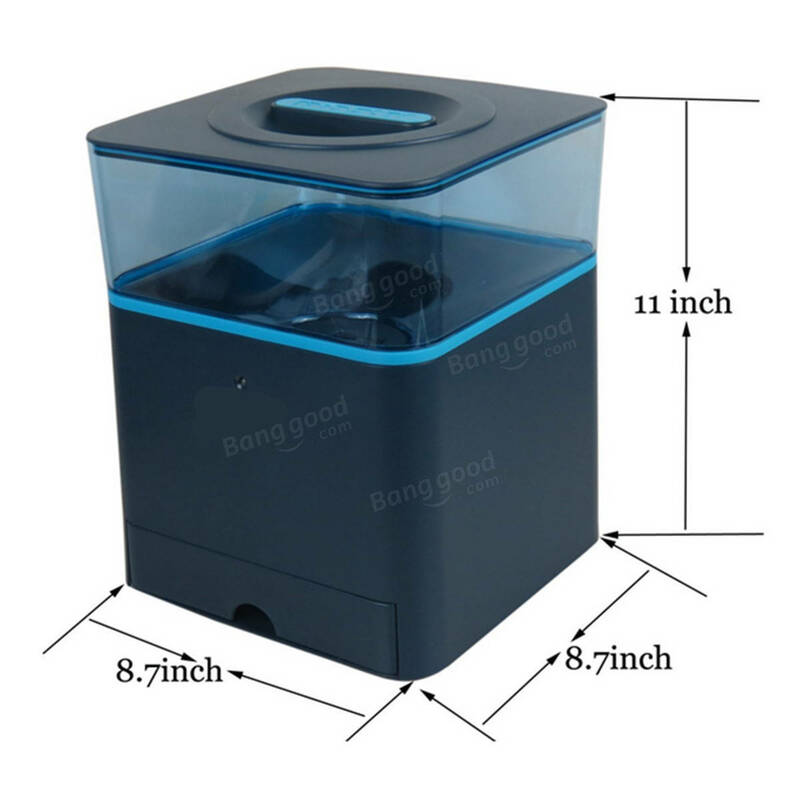 Feeder has a total capacity of about 4.5 liters.3.Remote control with large LCD display, display local time, the meal time, weight, launch conditions, the battery situation. The feeder host uses 3pcs C-size alkaline batteries, remote control using 2pcs AAA-size batteries. Feeding time can be set at any time, can be set to feed 1 to 3 meals a day, each meal can be set 1 to 12 small portions. It is suitable for small pets like puppies and cats! The minimum food intake of 15 grams, maximum food intake is 200 grams. In addition to the three meals a day has been set, in addition, it can be fed at any time with the remote control, only need press the MAN button. Food lid of the seal is good, can be moisture, mildew, while preventing small insects into. 1.Material: ABS plastic , safe non-toxic. 2.packaging 22 * 22 * 28 cm. Will not be knocked over by pets? A: Feeder with food weight of 3 kg or more, normal circumstances will not be knocked down by pets. Violent tendencies or large pet except.